At 1020 this morning (Monday 9th July 2012) Guernsey Coastguard received a mayday call from the motor cruiser “Omerta” approximately 2nm East of Sark with a possible fire on board. At approximately 1040 the “Omerta” reported the possible fire was extinguished. The Lifeboat made contact with the casualty at 1101 and escorted the casualty back to St Sampson harbour arriving at approximately 1200. 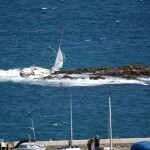 Just after three thirty this afternoon (Saturday 28th April, 2012) Guernsey Coastguard received a call from a French yacht, with two persons onboard, advising that the yacht had suffered mast failure and required assistance. 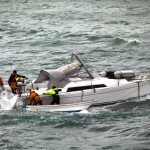 The lifeboat crew were alerted and the lifeboat launched at ten to four. In the meantime an all ships call from Guernsey Coastguard had resulted in a response from the Commodore Clipper enroute to Guernsey from Portsmouth and from the Condor Express enroute from Guernsey to Jersey. In addition the Channel Island Airsearch aircraft which was airborne on exercise proceeded to the area. 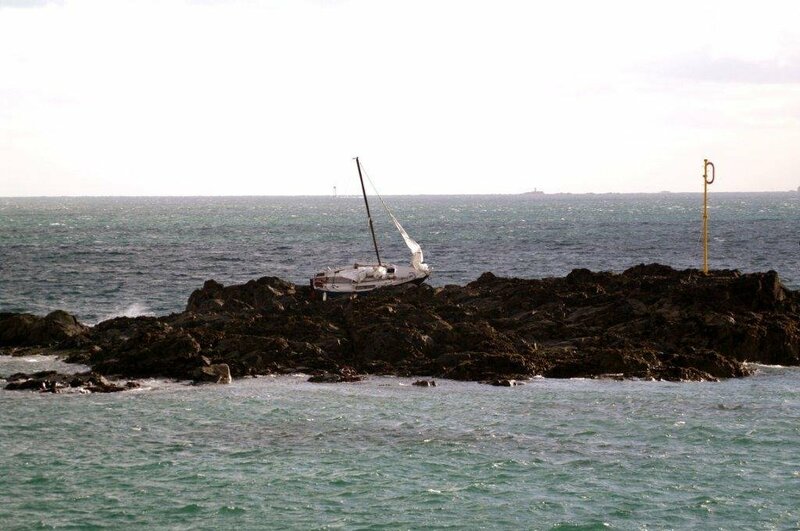 Airsearch spotted the casualty and stayed on scene until the Commodore Clipper arrived at which time the aircraft was tasked to Jersey Coastguard who was dealing with an incident Southwest of La Corbiere Point. With the Clipper on scene Condor Express was released to proceed on passage and the Commodore Clipper remained until the St Peter Port Lifeboat arrived at the casualty at just after quarter past five when it to was released to continue on passage. 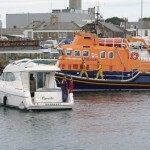 The lifeboat established a tow and the casualty was towed to St Peter Port arriving at twenty past six where the casualty was handed over to the marina staff and taken to the pontoons outside the marina. The lifeboat was fuelled and ready for service by 1835. At 01:30 this morning (Sunday 15th April 2012) the yacht Ardel advised Guernsey Coastguard that they were aground on rocks off St Peter Port Harbour entrance (Goubeau Rock) with two persons onboard. The lifeboat crew were alerted and the Pilot boat St Sampsons which was at sea proceeding towards a commercial vessel bound for St Sampson’s Harbour diverted to the scene but because of the conditions and lack of water were only able to stand-by. 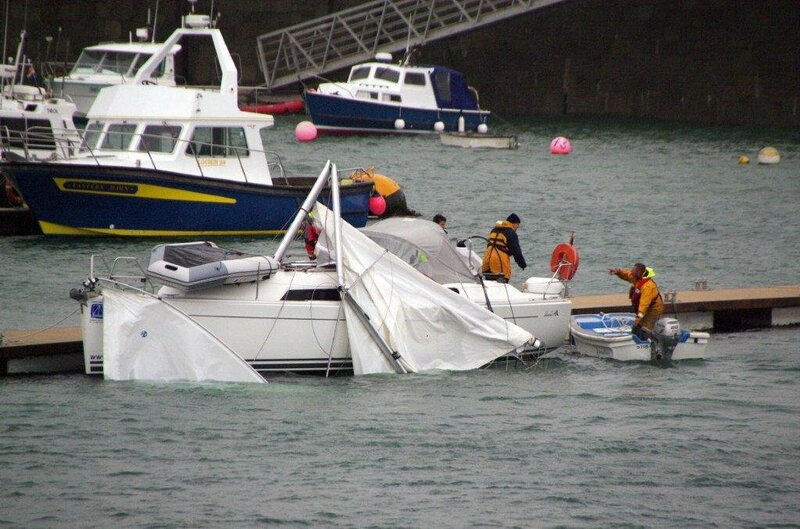 A Guernsey Harbour marina dory proceeded to the scene and was able to take both persons off the casualty and transfer them to the lifeboat which had arrived on scene soon after the dory. The survivors were landed at St Peter Port. 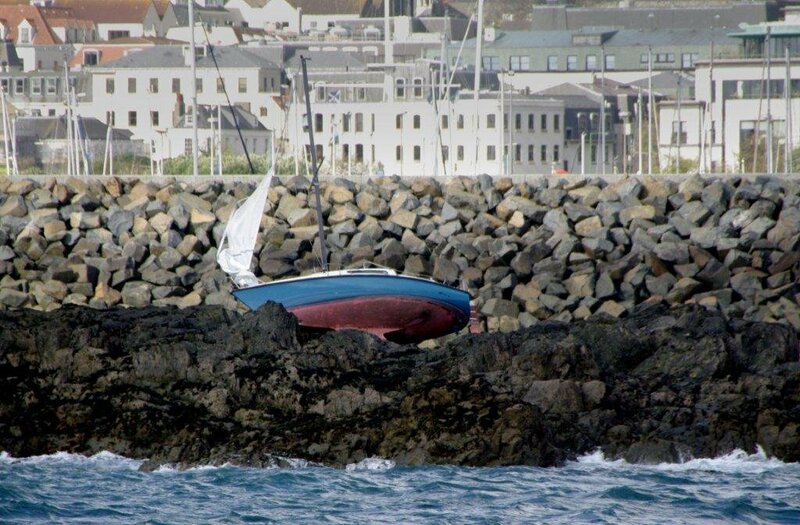 2am exactly 100 years ago and about the same time Linden Galsworthy was heading out of St Peter Port in a Marina Dory to rescue two crew members from this yacht as it grounded on Goubeau Reef midway between St Peter Port harbour and the QEII Marina to transport them to the St Peter Port lifeboat.